Arkansans for the Arts's first Arkansas's Arts Advocacy Day was a huge success and it wouldn't have been possible without all of the exhibitors, arts disciplines, industries, schools, students, teachers, and others that worked hard to make the visual statement for the arts as an economic driver in Arkansas. Thanks to the staff of the Arkansas State Capitol for helping us facilitate Arts Advocacy Day . Thanks to Senator Joyce Elliott for taking the initiative to form the Arkansas Legislative Arts Caucus and for the chairs from the Senate and House that represent the eight arts districts. Many thanks to the Board of Directors and Advisors of ARftA for your commitment and hard work. Also, our executive assistant, Marsha Knighton and our interns, Haley Schichtl and Victoria Mays from the University of Central Arkansas. This has been a year of organization and accomplishments. We are truly a grassroots organization lead by by the work of our board, advisors, and members. Thank you to our old and new members that help us to fulfill our purpose by your generosity and involvement with ARftA. Thanks to the Arkansas Arts' Council for your continued support and work you do for the arts statewide. 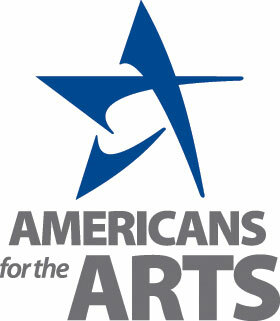 The Arts is a driving force in the economy in Arkansas. It is vital for us to advocate for the value artists across all disciplines bring to our economy. 2019 will be a year of growth and a continuation of our support for Arts Education statewide. All of us at ARftA wish you a happy holiday and prosperous new year!